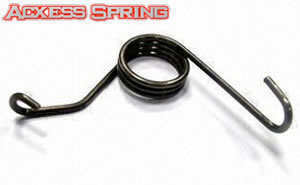 Torsion springs manufactured custom to the exact dimensions requested by a customer under standard tolerances. Springs, in general, are objects which are used to deflect under a load or force and return to its original free position once the load or force is released or taken off. In the case of a torsion spring, this is a radial or rotational force since its legs are made to deflect around the spring’s diameter. Their dimensions dictate how much torque and travel they will be able to fulfill as well as whether they will meet the required torque. 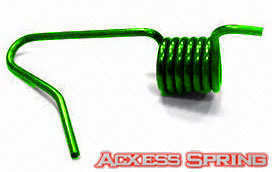 This is why, in most cases, customers will order custom torsion springs. Custom torsion springs might have bends on the legs, one leg longer than the other, or pitch in between its coils when it is required to fulfill the function of a compression spring; to not only torque, but also compress. 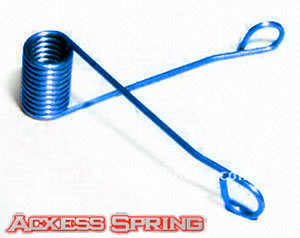 This makes your spring a custom torsional spring. 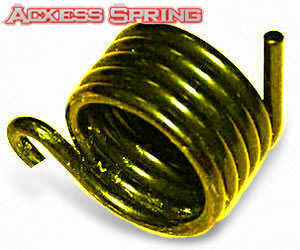 These alterations and modifications to the spring’s dimensions are not manufactured on a stock torsion spring because stock springs may be used in many different devices or mechanisms. 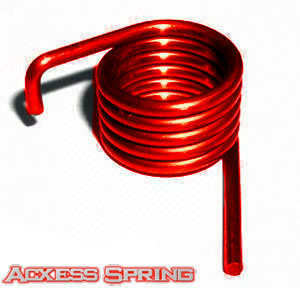 Custom springs are usually made to fulfill the requirements of a specific device or mechanism. 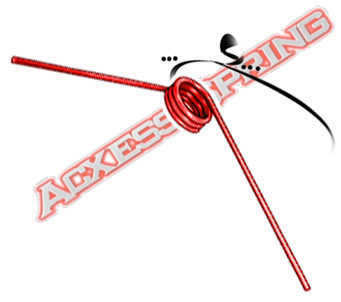 You will also find custom torsion springs which don’t have bends on the legs, have equal leg lengths (typical legs), and don’t have any pitch in between the coils. This might happen when a customer has tight tolerances around the device so that a stock spring might not work. 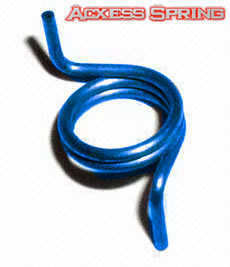 It is also the case when they are interested in ordering large torsion spring wholesale quantities. The variation of dimensions will make two torsion springs completely different by even 0.001” (one thousandths of an inch). If a spring had a wire diameter of 0.050” but was changed into 0.051”, it is a completely different spring since the torsion spring rate and torque will be affected from the increase in wire diameter. It will become stronger therefore requiring more force in order to deflect to your required torqued position and the amount of safe travel might lower due to the spring being under more stress. Generate a custom torsional spring design using our free online spring calculator, Spring Creator. Our torsion spring calculator will calculate your spring’s measurements either in the english or metric units of measurement. You can figure out rate per degree, rate per 360 degrees, maximum torque possible, and maximum safe travel. Request a quote along with your blueprint to receive pricing on up to 3 different quantities of specialty torsional springs.